The tycoon who last year shared pictures of himself swimming in money, dollars to be exact, has been remanded to Luzira Prison. 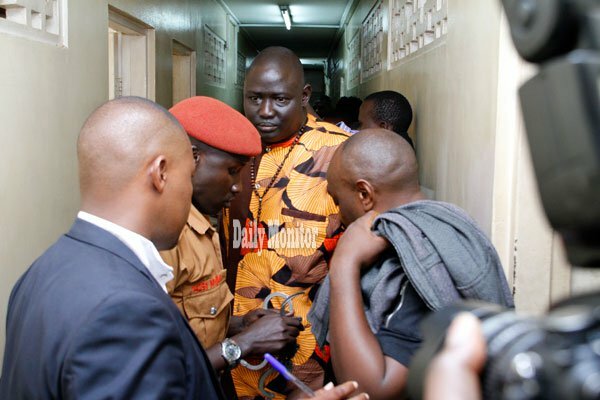 Lawrence Malong Lual Yor with two other people have been remanded over fraud in connection with obtaining dollars for gold purchase. Mr Malong, 30, from South Sudan a resident of Mirano Hotel in Kabalagala, along with his co-accused appeared Grade One Magistrate, Ms Joan Ketty Acaa at the Magistrate’s Court at Buganda Road over accusations of obtaining money by false pretences which they denied. They have been remanded until April 4 when they shall next appear in court. 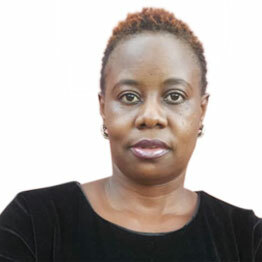 Malong and his friends have been accused of conning businessman Desire Wegnew of $1.9 million (about Shs7 billion) saying that they were selling him 150kg of gold yet they were not. Mr Wegnew a South African based businessman of Ethiopian origin explained that the suspects approached him saying they were going to sell him gold at $23,000 (about Shs85 million) per kilogramme. South Sudanese tycoon, Mr Lawrence Malong Lual Yor (mid) and his two accomplices, at Buganda Road Magistrates Court on Thursday March 21, 2018. PHOTOS BY ABUBAKER LUBOWA. “When I paid them money for the kilogramme, they told me that the shipment is not possible for small amounts. They asked me for more money such that they can ship five kilogrammes. 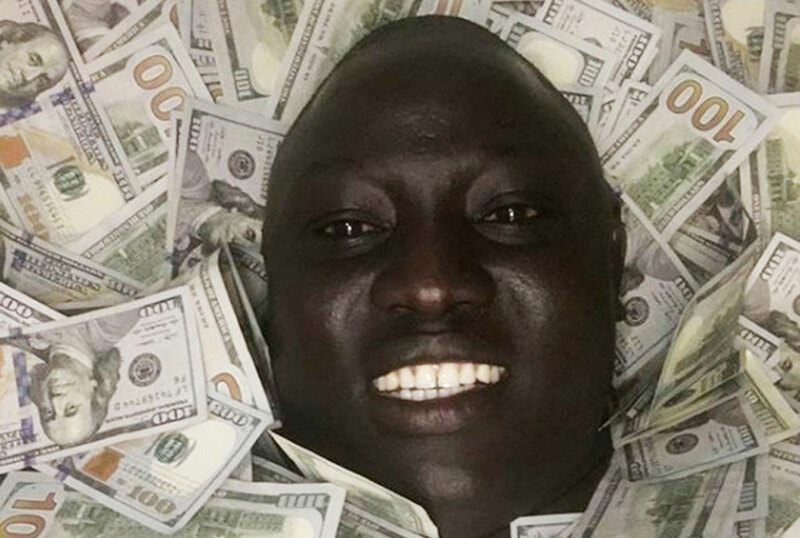 I flew to Dubai but while there, they called me to Uganda and they told me to give them more money such that they can sell me 150kgs,” he said. According to Wegnew, Malong told him he was a license holder for gold trade and one of his friends was the seller. In order to get all that money, Mr Wegnew says he got loans from South Africa where he is on the verge of losing both his businesses and his home. This is not the first time Malong has found himself in such a situation. In November 2018, he was arrested by Internal Security Organisation (ISO) in regard to investigations that linked him to bogus gold dealing scams in which several foreigners had lost billions of shillings.